"Say Hello to a Healthier you"
Elevate Bakery is a vegan and gluten-free bakery serving guilt-free cakes and breads. Our products are honest, baked fresh everyday, without eggs and dairy, and we also avoid using chemicals and preservatives. Our desire is to create the most delicious and aesthetically-pleasing plant-based cakes and breads. We strive to not compromise with flavor while sneaking in as much vegetables, fruits and superfoods into our baked goods. In order to be widely accessible to everyone we cater to different types of diets by providing options for those who suffer from nut intolerance, diabetes and other specific allergens. Come and join us in our journey to Elevate your life! Elevate Bakery’s products are made with the highest quality ingredients, providing you with the utmost health benefits. Utilizing mostly organic and natural products that are locally grown by farmers and communities. Our passion comes from knowing that plants and humans both have the same circle of life. By our actions of nourishing, harvesting and in the end eating plants, we are providing back to the Earth. Lydia Wiranata has a Bachelor’s degree in Food science/Human nutrition from University of Illinois and a Master’s degree in Hospitality management from Cornell University, specifically focusing in F&B operations and restaurant management. 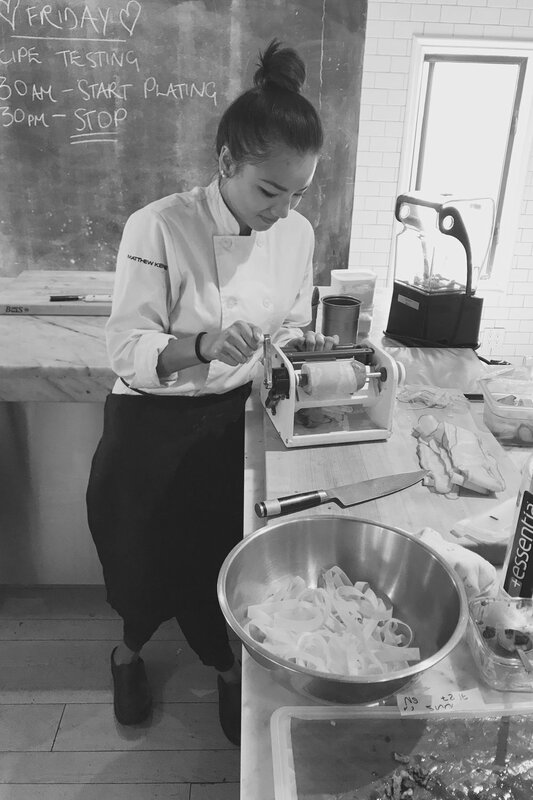 She also has various pastry certifications under her belt and recently graduated from Matthew Kenney Culinary for Plant based cuisine. Given her extensive knowledge and background, Lydia became curious about the science behind baking and loves tweaking recipes into plant-based options. Growing up, she always had digestive issues and she slowly realized that maintaining a plant-based and gluten-free diet is the best solution. The idea of the bakery was launched from owning a juicery, as she wanted to reduce waste and create alternative uses for the remaining fibers from juicing fruits and vegetables. So, she created various types of breads and cakes made from the pulps. To Lydia, the brand Elevate is a journey of discovery and self-improvement with the aim to be the best version of yourself. It is her intention to educate people about the importance of choosing the right food and ingredients that will have long-term benefits for the body. Elevate is thus a byproduct driven by her aspiration towards a sustainable planet and her love towards animals. Educate. Create. Elevate your lifestyle.